Trident White Cool Rush Sugar Free has the delicious flavor of Trident in a teeth-whitening . Trident White breaks down stains with patented surfactant technology. All that from a piece of gum. Enjoy chewing this tasty and delicious gum. 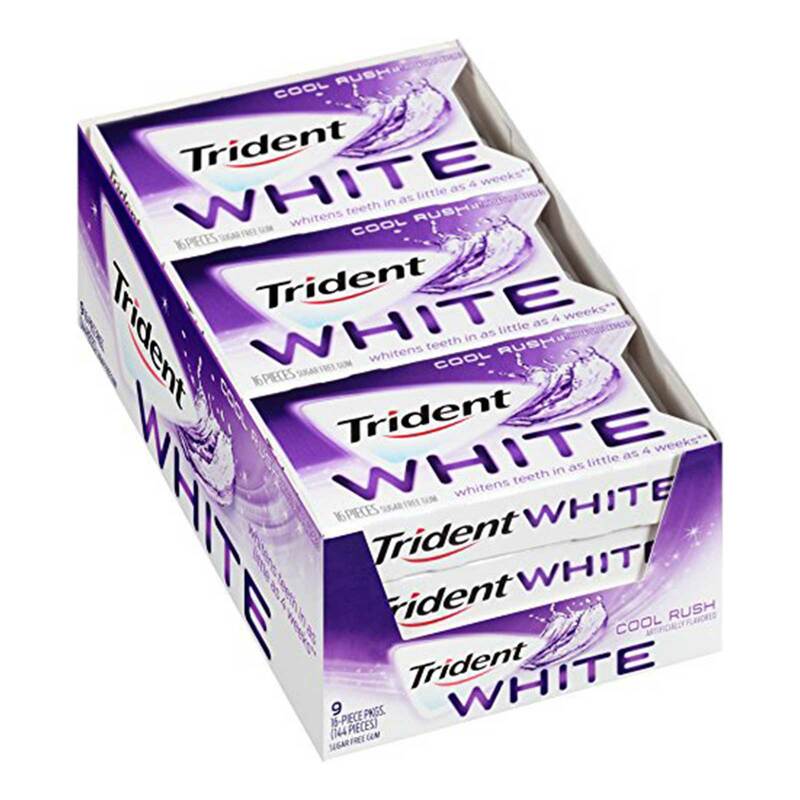 Order Trident White by the 9 count box, with 16 pieces per pack. Order TRIDENT WHITE COOL RUSH in bulk at wholesale price at Volt Candy Online. Pop a piece of mouthwatering Watermelon Twist Trident for a refreshing taste that keeps going as long as you do. This order includes 12 18-stick packs of Watermelon Twist Trident Sugar Free Gum. Pop a piece of mouthwatering Lime Passion Fruit Twist Trident for a refreshing taste that keeps going as long as you do.